Earning Your Trust for Over 45 Years! 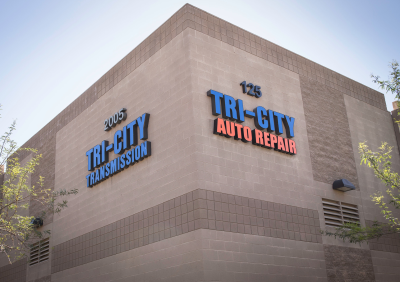 Welcome to Tri-City Auto Repair, a family-owned auto repair shop in Tempe, Arizona, for over 45 years. Tri-City Auto Repair works on all makes and models of cars including domestic, European, and Japanese imports, light trucks and SUV's. Whether you own an Audi or a Ford, our experienced and certified mechanics are there to provide the best auto repair at a fair price. 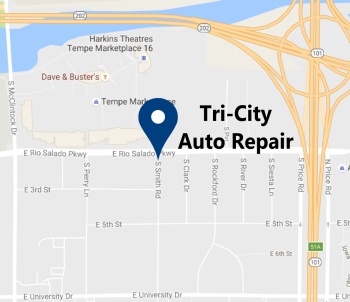 Tri-City Auto Repair provides complete auto repair in Tempe, Arizona including brake service, leak diagnosis, car tune-ups, radiator repair, and more. Our Arizona coverage area includes, but is not limited to Ahwatukee, Chandler, Gilbert, Maricopa, Mesa, Paradise Valley, Phoenix, Queen Creek, Scottsdale, and Tempe. Counties include Maricopa County and Pima County.